Super Motherload will push you to the brink of what your attention span will bear before it delivers satisfaction by the boatload. The premise is simple: dig, mine, climb, sell. Dig a series of treacherous mine shafts beneath the surface of Mars. Mine every rare substance you can find. Climb your way back out of the hole you’ve dug for yourself. Sell your rarities to buy fuel, repairs, items, and upgrades. Unfortunately, a simple premise can also get boring, and it does. That’s almost the point. My experience with Super Motherload is littered with “screw this game, I’m done” moments — times when the monotony outpaced my progression. 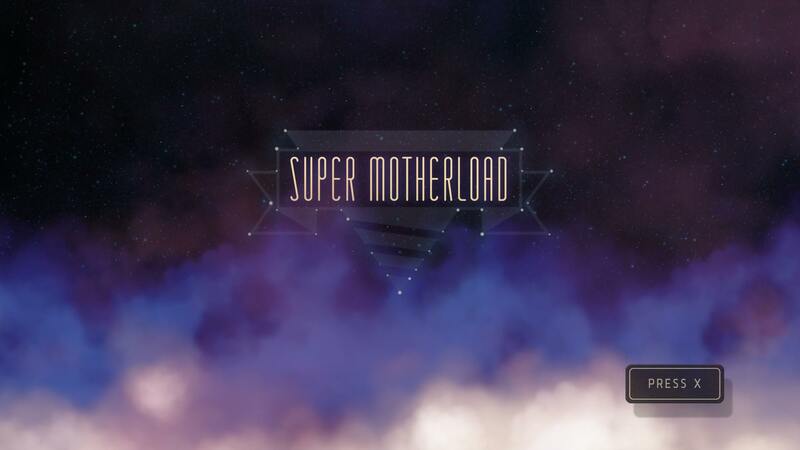 But I’m here to tell you that you should expect these moments, and even relish them, because your attention span is probably too short, and Super Motherload is your chance to be rewarded for being patient. The first “screw this game” moment comes when you find yourself digging deep enough that returning to the surface becomes a pain. You run out of fuel supplies and hull integrity. You think about how long it took you to descend as far as you have. You dread the trip back to the surface. Worse, you think that every trip after this is only going to get longer and more monotonous as you dig deeper. This is the first test of your patience. Bear with it; the game feels your pain. Make a few more boring trips and… yes! There’s another outpost far beneath the surface. 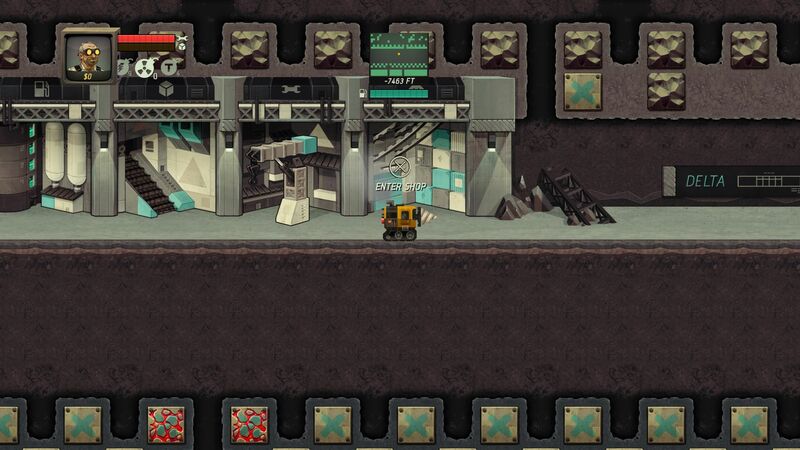 You can sell your goods here, you can refuel here, and you never have to make the trip back up to the surface again. Congratulations! You have an attention span longer than an 8-year-old and you’ve been rewarded for it. 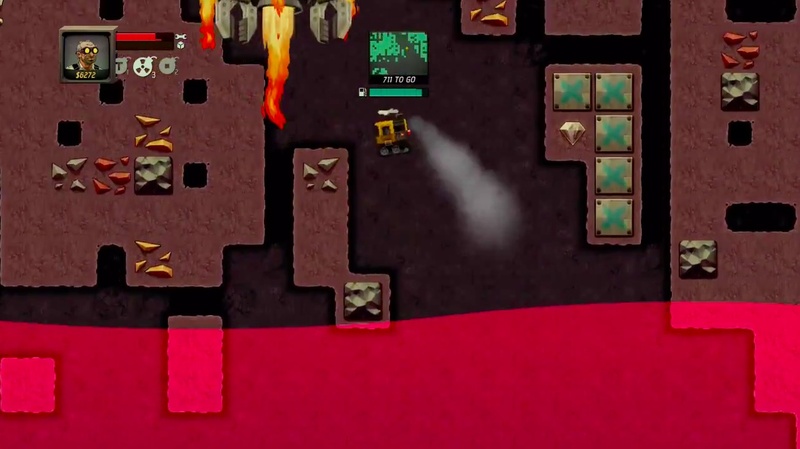 As you bore deeper and deeper into the planet, you will continue happening upon underground outposts, but in a cruel twist, these outposts will get farther away from each other. The result is that just before you reach each one, you will find yourself doubting whether there even is another outpost. This thought soon becomes a reality, because the game eventually refuses to provide you with another outpost. You dig downward furiously, hoping that after just a few more meters you will punch your way through the ceiling of the next glorious sanctuary. But it never happens, and the going gets tougher. You find yourself digging through molten rock that damages your vehicle. You find impassable blocks that hinder your progress. You run out of fuel and face the choice between making the long trek back up to the previous outpost or just scuttling your vehicle to trigger a respawn. The worst part of all this is the question you keep asking yourself: is it possible that this game has no ending? Have I reached the point where it’s all rocks, all the way down to infinity? The game is testing your attention span again, and you better not let it defeat you. Did you keep at it? Good, because you’re about to be rewarded. You reach the planet’s core, and the game starts to look like it might actually have an ending. Unfortunately, that ending is a spirit-crushingly difficult boss battle that you are almost certainly not prepared for. Make the ~5-minute trek from the last outpost to the planet’s core. Build 3-4 nuclear bombs, which can only be constructed from Unobtanium, an incredibly rare substance. Hone your vehicle control skills to a point far beyond what was previously necessary. At this point, you will start failing, and there is no quick solution. You must steel yourself against the game’s imposed frustration. Super Motherload is prepared to reward you, but only if you demonstrate the proper preparation and mastery. In the end, victory will be sugary sweet because of these efforts, and you will be glad the game challenged you as it did.